Misenchanted Press is a small press owned and operated by author Lawrence Watt-Evans. For details, click the Company link above. We primarily publish science fiction and fantasy. Our authors include Lawrence Watt-Evans (of course! ), Stuart Hopen, and Christina Briley. The "Titles" link above will show you our complete catalog as of January 2017, with links to purchase them from online booksellers. 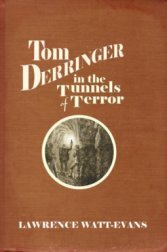 Our latest title (release date: July 26, 2017) is Tom Derringer in the Tunnels of Terror, the second volume of the Adventures of Tom Derringer. This sequel to Tom Derringer and the Aluminum Airship continues the story of our young hero as he seeks out the mysterious Gabriel Trask. 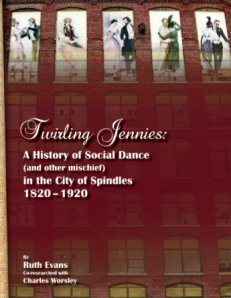 Our first (and so far only) non-fiction title is Twirling Jennies, by Ruth Evans. It's a history of social dance in Lowell, Massachusetts, available as a lavishly-illustrated trade paperback. The author has created a website about it.